Imagine you're at the doors of the Pearly Gates, facing your maker, and God requests that you justify your existance to prove you are worthy of entering heaven. If you've lived over one hundred years and your name is George Burns, you might have quite a mouthful to say. 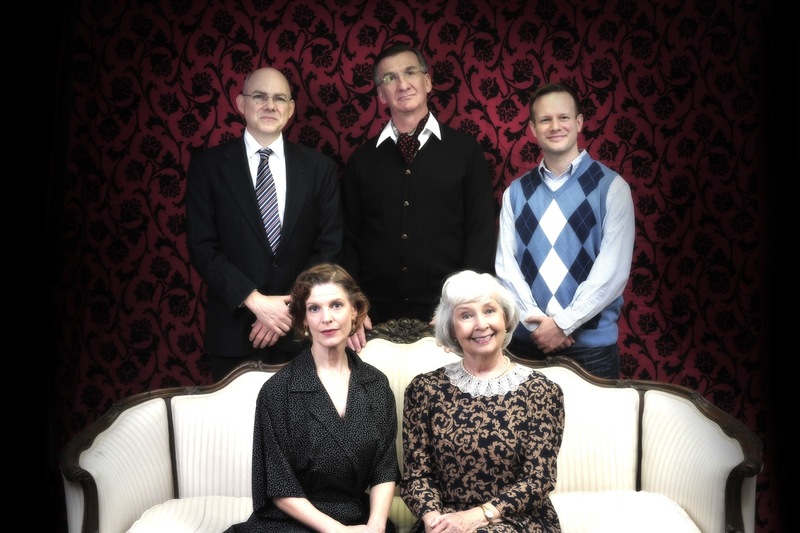 Waterbury's Seven Angels Theatre will let you sit in on Mr. Burns' heartfelt confessions in a delightful and sincere one man play by Rupert Holmes entitled "Say Goodnight Gracie," the line he always ended his routines with his partner and wife Gracie Allen. The show runs until Sunday, March 10. Don't miss R. Bruce Connolly's wonderful interpretation of this beloved comedian, with his trademark cigar, a twinkle in his eye, a witty quib and a self-deprecating smile. One of twelve children, the son of a coat presser and cantor in the synagogue, born Nathan Birnbaum in the lower East Side of New York in a tenement in 1897, he found himself trying to support the family at the age of seven when his father died. In his vaudeville days, he changed his stage name as frequently as he changed his underwear and he didn't find any success until he teamed up with a petite pretty Irish Catholic girl with a funny voice and a unique sense of humor named Gracie Allen. Their comedy act, which he explains was based on "illogical logic," took them prominently from vaudeville to radio to the stage and to television. They talked, with George asking Gracie, "so how's your brother?" and Gracie answering with convoluted tale that lasted 22 minutes. Their song and dance routine endured their whole married life, until Gracie's health problems forced her retirement. Now, after a century on this earth, George Burns justifies his place of prominence on this planet, dropping the names of his good friends like Jack Benny, Eddie Cantor and Jimmy Duarante, in case God is impressed, and hopscotching happily through nine decades in show business. R. Bruce Connolly captures the spirit and heart of the man and shines a mirror on his soul, with a little soft shoe and a song. 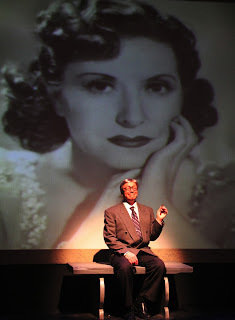 Semina DeLaurentis directs this homage to George Burns with an affectionate hand. For tickets ($30-42), call Seven Angels Theatre, Plank Road, Hamiliton Park Pavilion, Waterbury at 203-757-4676 or online at www.SevenAngelsTheatre.org. 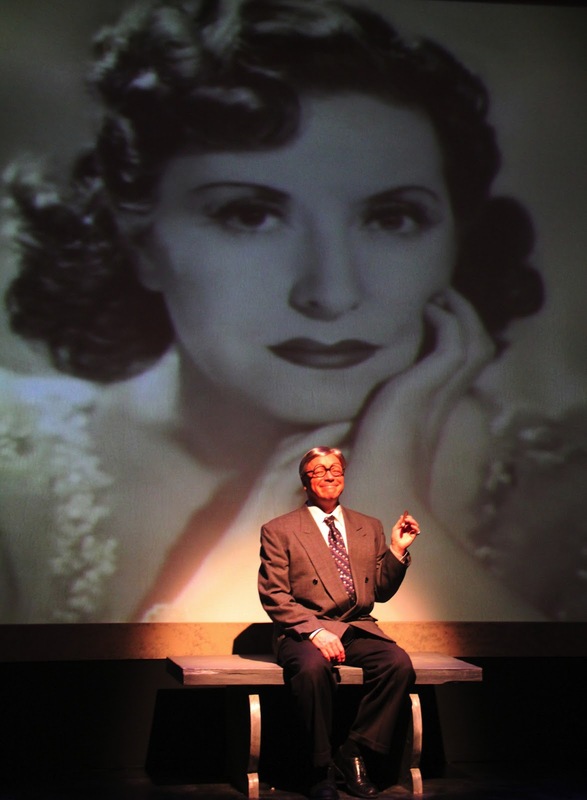 Performances are Thursday at 2 p.m. and 8 p.m., Friday at 8 p.m., Saturday at 2 p.m. and 8 p.m. and Sunday at 2 p.m.
Let George Burns be the affable tour guide to his own life, as he tries to impress God, a role he played three times himself in the movies. Albert Einstein once said, "Insanilty is doing the same thing over and over again and expecting a different result." It is too bad the Tate family doesn't subscribe to that adage. Each member opens the refrigerator door, sees it is empty and slams it shut, only to open it one second or minute or hour later. They keep expecting a miracle, for the food fairy to visit and bring groceries. 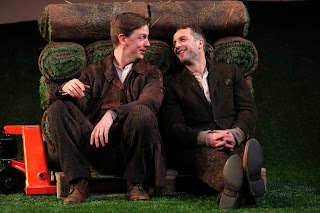 If that seems like strange behavior, the Tate clan has dozens more to share and show off in the unusually disturbing Sam Shepard play "Curse of the Starving Class" inhabiting the main stage of Long Wharf Theatre in New Haven until Sunday, March 10. Billed as a modern American classic, it pushes the buttons and envelopes as it unveils the plethora of problems that plague these phobia-driven parents and their pain-laced offspring. As matriarch Ella Tate, Judith Ivey is wonderful, a mix of hopelessness and elation, ready to grab any brass ring that may come her way as she crazily rides the merry-go-round of life. In her out-of-control dizzy journey, on a collision course with disaster, she holds on for dear life. Her alcoholic husband Weston, captured beautifully in all his delusions by Kevin Tighe, has managed to squander and bankrupt the family's values and principles. Now, when his poor choices are pouring through the family's non-existent front door (that he broke in a drunken rage), the only hope to save them all is the possibility of selling their rural California ranch. Their children Wesley, played with a sardonic, despairing note by Pater Albrink, and Emma, a rebellious yet hopeful Elvy Yost, are overwhelmed by the burdens heaped upon them by their parents. Both Ella and Weston each conceive the idea of selling the homestead as the solution to all their problems, Ella working through a lawyer (John Procaccino) and Wes dealing with a less-than-honorable saloon owner (Clark Middleton) and his honcho (Ben Becher). Edie the lamb provides a fuzzy bit of humor. Gordon Edelstein directs this visceral stripping of a family unit with stark realism. Follow the scheming and plotting that ensues as each of the Tates tries to crawl a few inches ahead, to stave off his hunger and win a piece of the American pie. 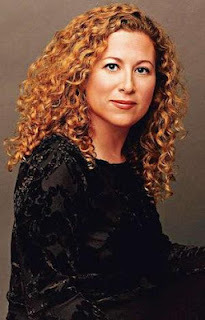 As a best selling author, Jodi Picoult is versatile, prolific, deals with intriguing topics and always ends her books with an unexpected twist. She started writing when she was pregnant with her first child in 1992 and she has not stopped since. Systematically researching her subject matter for four to five months, she then spends an equal amount of time writing. To date she has penned twenty-two novels, and the newest one, "The Storyteller" will be unveiled at a talk, sponsored by R. J. Julia's Booksellers of Madison, at the Jewish Community Center in Woodbridge this Friday, March 1 at 11 a.m. The $35 fee includes the talk and a copy of the book. Picoult's ideas can come from a variety of sources, A newspaper article about the Abenaki Indians wanting to protect a piece of land, a burial ground, led to a ghost story "Second Glance." She interviewed members of the Indian tribe and even went on an expedition with three ghost hunters to add authenticity to the tale. The horrific shooting event at Columbine in Colorado drove her to write "Nineteen Minutes," after interviewing students, teachers, parents and police about how bullying can contribute to such tragedies. A personal connection to the disorder Asberger's Syndrome, a form of autism, convinced her to devote her time and talent to investigating how it affects the family in "House Rules." Here she creates a character, Jacob Hunt, whose passion for crime scene analysis contributes to his being accused of murder. Medical and ethical issues are often at the heart of her novels, as she plays a literary King Solomon trying to balance the scales of justice. Picoult often speaks in many voices, letting the main characters tell their viewpoints in alternating chapters. No one wants Picoult to stop hearing voices any time soon. In "The Storyteller," the main voices are those of a young baker, Sage Singer, whose facial disfigurement from a car accident has made her a virtual recluse and an aging grandfather-type, Josef Weber, who is struggling with an intense moral dilemma. Their unlikely friendship is at the heart of this novel that deals with protecting secrets, the Holocaust and scars that are both hidden and revealed. When Josef makes an incredible request of Sage, he forces her to make a moral and ethical decision that shakes her solitary world. 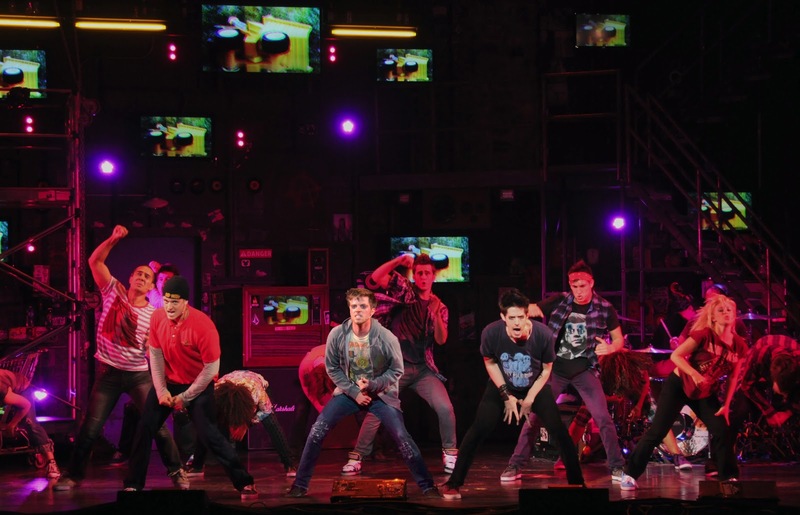 Take the punk rock band Green Day and give it a concert stage setting, using the platform of its wildly successful album of the same name and you have the genesis for the explosive musical "American Idiot." 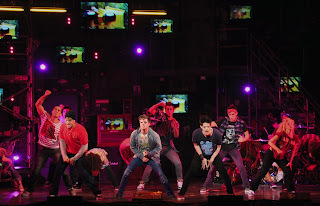 The Bushnell Center for the Performing Arts will be launching this explosive musical event from Tuesday, February 26 to Sunday, March 3 and you're invited to detonate the powerful musical fuse. With a book by vocalist/guitarist Billie Joe Armstrong and director Michael Mayer and music by the group Green Day from its iconic albums, "American Idiot" is a tale of lost boys looking for their identity, for love and for a meaning to life. A trio of friends Johnny, Will and Tunny feel trapped in suburbia, which they call "Jingletown USA" and by their restrictive and confining parents and they want to escape. While Will stays home to deal with his pregnant girlfriend Heather, Johnny and Tunny run off by bus to find themselves in the lights and excitement of the big city. Soon Tunny turns to the military and enlists in the army, being shipped off to war, while Johnny makes other choices which he quickly questions. With lightning energy that rocks the rafters, "American Idiot" is not for the faint of heart or decibel-challenged listeners. The boys grapple with issues that are youth-driven, and turn to drugs and alcohol as escapes that only complicate their problems. Heather's pregnancy, Tunny's wartime wounds and hallucinations, Johnny's strange longings and loves, Will's assuming the persona of Jesus of Suburbia, all work to showcase the trio's rage and frustrations. The heartfelt sentiments of walking alone along the "Boulevard of Broken Dreams" clearly spell out the despair of being solitary in a crowded world while "Wake Me Up When September Ends" continues the lament for all things lost and not able to be recovered. The final song "Good Riddance (Time of Your Life)" reviews the choices one makes with the hope that they were good ones. For tickets ($20-75), call the Bushnell, 166 Capitol Avenue, Hartford at 860-987-5900 or online at www.bushnell.org. Performances are Tuesday-Thursday at 7:30 p.m., Friday at 8 p.m., Saturday at 2 p.m. and 8 p.m. and Sunday at 1 p.m. and 6:30 p.m.
Take an emotionally charged journey with a trio of young men as they break out of their cocoons and try to soar free, even if it means taking the risk of crashing and burning in the process. That lovely white multi-tiered wedding cake in East Haddam known as Goodspeed Musicals will celebrate its 50th Anniversary this year. To commemorate this milestone event, a concert will be held this Saturday, February 23 at 7:30 p.m. at the Bushnell Center for the Performing Arts in Hartford with the Hartford Symphony Orchestra. Highlighting this musical tribute will be a bevy of tunes from the grand parade of hits over the decades. Sit back and enjoy the songs from "Annie," "Man of La Mancha," "Brigadoon," "Finian's Rainbow," "No, No, Nanette," "42nd Street," "A Funny Thing Happened on the Way to the Forum," "Mame," "On the Town," "The Fantasticks" and much more, sung by the professional talents of Sarah Uriarte Berry, Lindsay Mendez, Quentin Earl Darrington and James Snyder. Guest conductor Michael O'Flaherty who for more than two decades has served as Resident Musical Director for Goodspeed Musicals will hold his baton at the ready and pay tribute to the American musicals that have imprinted the Goodspeed trademark on a legacy of great shows. You'll remember Sarah Uriarte Berry as Magnolia in Goodspeed's recent great "Show Boat," as well as Broadway and national tours that include "Beauty and the Beast," "Carousel," "Cinderella, "Les Miserables," "Next to Normal." "Sunset Boulevard" and "A Light in the Piazza" among others. 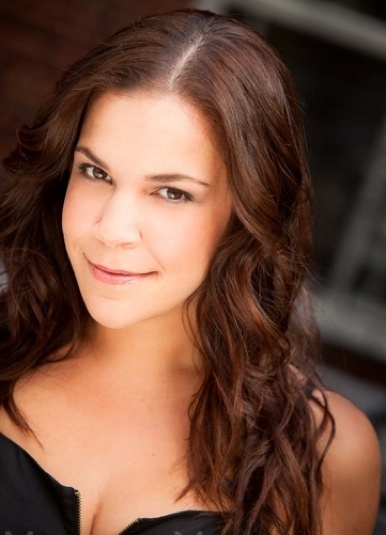 Lindsay Mendez most recently starred as Rose Fenny in the World Premiere musical "Dog Fight" at Second Stage Theatre Company, directed by Joe Mantello. 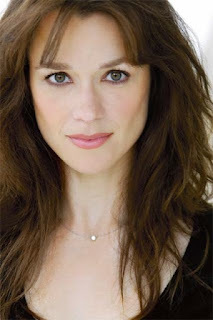 On Broadway, she appeared in "Bless The Lord" in the 2011 revival of Godspell, Everyday Rapture (Roundabout), Grease. Off-Broadway: Everyday Rapture (Second Stage Theater Company), The Marvelous Wonderettes (West Side Theatre). Her other credits include Love's Labour's Lost (directed by Alex Timbers), Jacques Brel is Alive and Well and Living in Paris (TRTC), Unknown Soldier (O'Neill), Ryan Scott Oliver's 35MM (Galapagos Art Space), The Trouble with Doug (NAMT, directed by Victoria Clark), Princesses (NAMT, Goodspeed, 5th Avenue Theatre). Lindsay can be heard in NYC singing jazz and contemporary music with her collaborator, jazz pianist Marco Paguia (www.LMandMP.com). Together, they will make their Lincoln Center debut with the American Song Book series in the Kaplan Penthouse on March 29th, 2013. She is also a member of the League of Broadway Super Friends, a five-person band singing to benefit organizations in need. 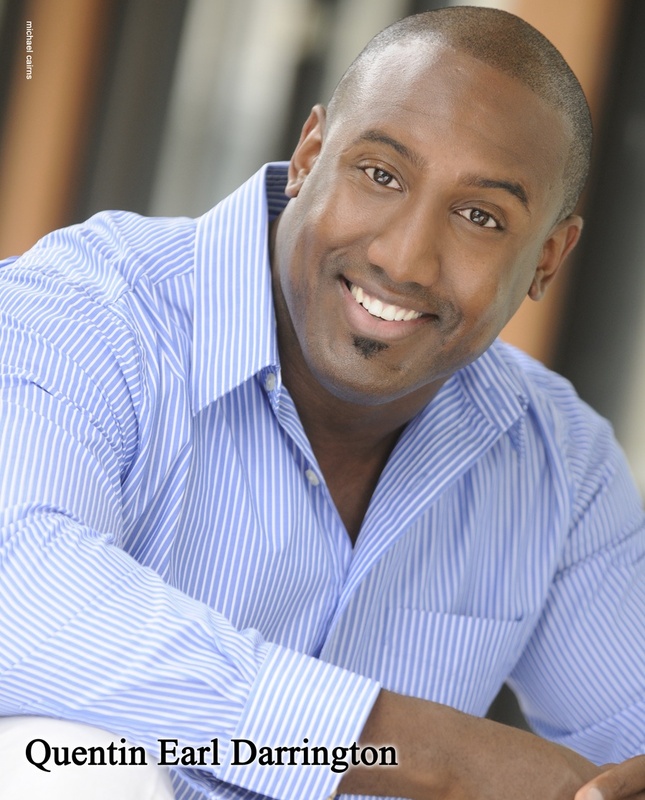 Quentin Earl Darrington was Lucas in Goodspeed Musicals' production of "Abyssinia," as well as appearing on Broadway and national tours in "Memphis," "Ragtime," "The Color Purple" and "The Lion King." 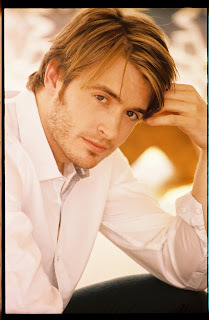 As Billy Bigelow in Goodspeed's "Carousel," James Synder has also starred on Broadway in "Crybaby" in addition to "Broadway: Three Generations," "Fanny," "Happy Days," "Mama!," "Oedipus the King," "Rock of Ages," "Star Wars Trilogy in 30 Minutes" and "The Fantasticks." For tickets ($20-67.50, students $10, under 40 $25), conact the Hartford Symphony Orchestra at 860-244-2999 or online at www.hartfordsymphony.org. The concert will take place at 7:30 p.m.. at the Bushnell's Mortensen Hall, 166 Capitol Avenue, Hartford, with performers from The Hartt School Musical Theatre Department, Class of 2013, Alan Rust, Director and Michael Morris, Director of Music. These are the same students who did a spectacular job performing at Goodspeed's Festival of New Artists in January. Celebrate Goodspeed and the American Musical Theater in this thrilling concert that applauds Broadway and its decades of achievements. Roll out the red carpet for a special Connecticut celebration of the Academy Awards. Don't fret that you can't be in Hollywood for all the festivities, for the Katherine Hepburn Cultural Arts Center in Old Saybrook will be bubbling with champagne and all the party fixings. Hosted by WTNH's vivacious Ann Nyberg and Comcast's sparkling Kristen Roberts, the 3rd Annual Oscar Night Party will begin at 7 p.m., Sunday, February 24 and you're invited to dress up for the fun. Will the best picture go to the intriguing true Iranian adventure "Argo," the French Revolution's intense musical saga "Les Miserables," the real life military mission "Zero Dark Thirty," the involving plight of a man with a bi-polar disorder in "Silver Linings Playbook," the humanity driven tale of a former President "Lincoln," the searing story of a boy and a tiger cast out to sea in "Life of Pi," the world viewed through the eyes of an inquisitive child in "Beasts of the Southern Wild," how a slave earns a bounty and his freedom in "Django Unchained" or the moving story of a couple and their lasting love in "Amour"? Will the best actor nod go to a mentally conflicted man played by Bradley Cooper, a dedicated, heroic Lincoln portrayed by Daniel Day-Lewis, a fleeing French criminal created by Hugh Jackman, a war veteran suffering from stress captured by Joaquin Phoenix or a pilot accused of irresponsibility envisioned by Denzel Washington? In the leading actress category, the candidates go from a young curious child Quvenzhane Wallis in "Beasts of the Southern Wild" to a woman who has been well loved to the end of her life, Emmanuelle Riva in "Amour," with a determined mission leader Jessica Chastain in "Zero Dark Thirty," a young woman fighting her way out of depression, Jennifer Lawrence in "Silver Linings Playbook" and a mother caught in a tsunami, Naomi Watts in "The Impossible,"completing the array. Dozens of other categories will encompass documentaries, film editing, costume design, directing, supporting actors, music, foreign language films, writing, visual effects and much, much more. To reserve your place ($55, $50 members), call the Kate, 300 Main Street, Old Saybrook at 877-503-1286 or online at www.thekate.org. Make your personal selections and watch the stars illuminate the Hollywood sky as Oscar Night's Academy Awards single out the best of the best. Be there and applaud your favorites. Cathy Rigby is still flying high and she doesn't plan to come back down to earth anytime soon. Since the time she garnered honors as the highest-scoring American gymnast in the 1968 Summer Olympics at the age of sixteen, she has been an American sweetheart. 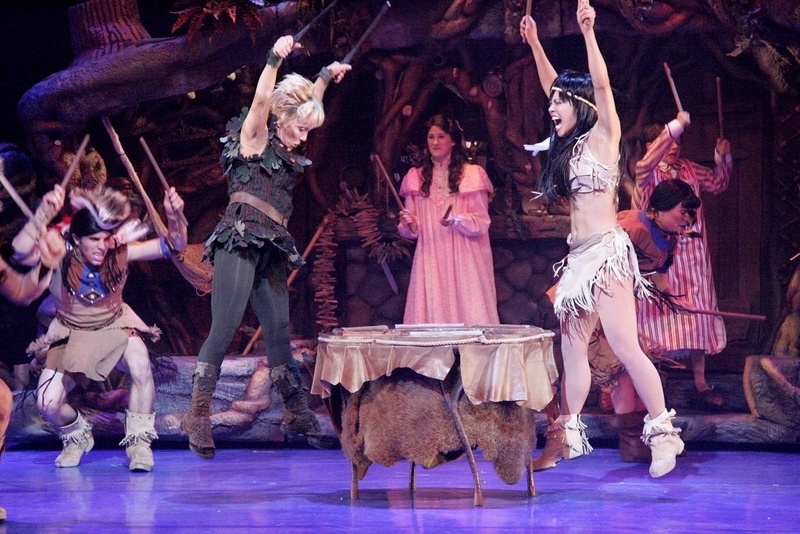 Now at the age of sixty, she is still young enough in heart and spirit to continue to capture the essence of that never-grow-up kid "Peter Pan." This purportedly shy young lady, just retired from gymnastics due to an injury, at twenty years of age, was offered this role that has now become synonymous with her name: Cathy Rigby is Peter Pan. Grab some fairy dust and head over to the Palace Theater in Waterbury for four performances Friday-Sunday, February 15-17 to see this high flying gal who promises to stay young forever. Join hands with the Darling children, Wendy, Michael and John, as they are spirited out of their London townhouse by an adventurous lad named Peter and taught how to fly, fly all the way to the magical place called Neverland. There Wendy will quickly become a surrogate mother to a whole troupe of Lost Boys, befriend a tribe of Indians, meet an enchanted fairy named Tinker Bell, and come face to face with a band of fierce pirates headed by the scariest of them all, Captain Hook. There is even a crotchety crocodile. J. M. Barrie's classic tale will come magically to life as Cathy Rigby, who has been capturing the role since 1990, soars through the air to ever higher and higher heights. Before the Friday, February 15 production, a dinner will be held at 6 p.m. at the Poli Club upstairs. Catered by Emily's Catering Group, the three-course dinner will cost $62.50 per person, including tax, service fees, coffee and tea. A cash bar will be available. Call the box office for reservations. *Some seating restrictions apply. Excludes previous purchases.& applicable fees. Can’t be combined with other discounts. The enchanted island of Neverland is awaiting you and musical adventures abound. If you like unusual wines that are crisp and savory, and the spirit of Valentine's Day inspires thoughts of love and relationships, then actress and producer Joannna Keylock has just the prescription for fun-fulled hearts. On Saturday, February 16 at 8 p.m., the historic Lyric Hall in the Westville section of New Haven will be bedecked in all things romantic in honor of Cupid's favorite holiday and you're invited to grab your sweetie and attend. "Sips and Giggles" is the perfect name for this unique evening of entertainment where delightful one act plays and songs are paired with specially selected wines, plus nibbles, including chocolates. As you sip the libations, you are sure to giggle at the theatrical offerings. 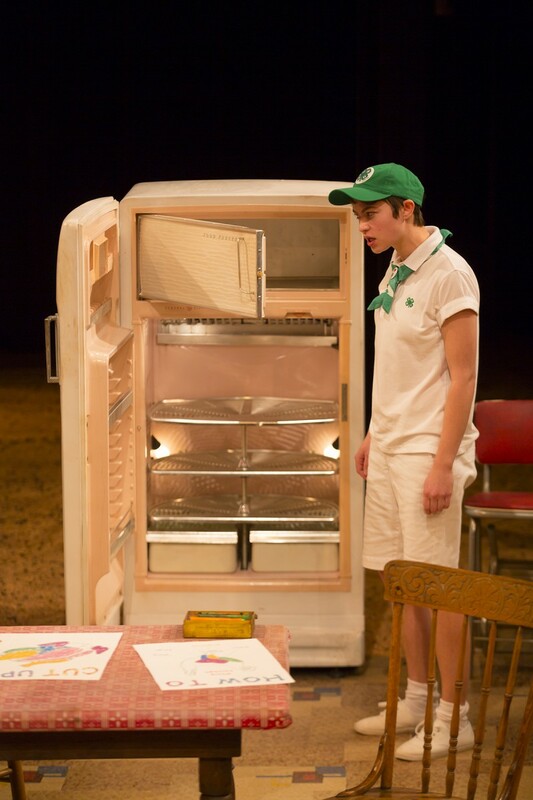 This time around Ms. Keylock has selected from the writings of Susan Cinoman and Frederick Stroppel for her inspiration and matched the pieces with a team of talented actors and singers. So plan to find a friend or a partner, platonic or passionate, and celebrate LOVE in all its wild and crazy aspects. For reservations ($40), call 203-298-0730 or email joannakeylock@gmail.com. Lyric Hall, which is celebrating its 100th anniversary, was once a vaudeville and silent movie house. It has been lovingly restored by owner John Cavaliere and is located at 827 Whalley Avenue, New Haven. Inject a spirit of adventure into this year's annual tribute to love by incorporating a multitude of sips and a crescendo of giggles into your fun! When a woman of a certain age shocks her children and grandchildren with the announcement that she is divorcing "Gramps" to marry his best friend Roger, she creates a scandal and succeeds in being ostracized by the society of Buffalo where she had enjoyed a privileged place. It's the years before World War II and conservative Buffalo is not ready to accept such outlandish behavior, and neither is her family, especially her precocious grandson Eddie. A.R.Gurney has fashioned this tale of family and society through Eddie's captivating eyes, as a young boy who grows up as we watch, the world changing as he matures. Music Theatre of Connecticut is treating us to a delightful staged reading of Eddie and the three generations of his own clan in "Ancestral Voices" until Sunday, February 17. Michael McGurk's Eddie is wise beyond his years, interested in skiing and fly fishing, avoiding dancing classes and not writing thank you notes and keeping his favorite person, his Gramps, happy. To that end, he sends both grandparents a Valentine, pretending to be the other, in the hopes they will reconcile (or reconsile, a misspelling that scotches his plot). Gramps, an even tempered John Little, has not taken kindly to his wife Madeline's (Jo Anne Parady) desertion, especially with Roger, who clearly doesn't deserve her. Eddie's parents Jane (Marty Bongfeldt) and Harvey (John Flaherty) try to make the best of a difficult situation but they are definitely on Gramps' side of the fence. As the war looms ever closer, the tensions in the family rise and alter, not always for the better. With the perspective of time, an older and now married Eddie reflects on how grandma's decision affected them all. Kevin Connors directs this absorbing drama that plays out beautifully and effectively on the intimate stage of MTC. For tickets ($25-45, $5 off for students and seniors), call MTC, 246 Post Road East, Colonial Green lower level, Westport at 203-454-3883 or online at www.musictheatreofct.com. Performances are Friday at 8 p.m, Saturday at 4 p.m. and 8 p.m. and Sunday at 3 p.m. Reserve your place now for the MTC Gala "Hooray for Hollywood" on Saturday, March 16 at 7 p.m. at SONO Studios, 18 Leonard Street, Norwalk, including Wine Bar, Hors D'Oeuvres, Light Dinner, Live and Silent Auction, Live Music and Entertainment, $95 per person. Call 203-454-3883 for reservations. Born in Buffalo, writing about his own grandparents, "Ancestral Voices" tells a story by that classic storyteller A. R. Gurney, so pull up a chair and listen well as nostalgia speaks to the heart. Two Irish blokes Charlie Conlon and Jake Quinn plan to hold on to their dreams of being extras in an American movie until the cows come home. Their little village has been invaded by the entire Hollywood stars and crew to make a film "The Quiet Valley" and Charlie and Jake are eager for the theatrical experience, with the hope that it will lead directly to their fame and fortune. Come meet these funny fellows in the highly entertaining comedy "Stones in His Pockets" by Marie Jones playing at New Haven's Yale Repertory Theatre until Saturday, February 16. Euan Morton's Charlie and Fred Arsenault's Jake are versatile with a capital V and talented with a capital T, as they play the whole village of County Kerry, Ireland from the crotchety, whiskey loving gent to the impossible to please, dictatorial director and everyone in between. They are but two of the 350 extras hired to make the movie authentic, but to the powers that be nothing is satisfactory, even the cows aren't Irish enough. Yet the hopeful pair plug on, Jake with his memories of his stint on American soil and Charlie with a movie script he wrote tucked in his back pocket. Both feel that their time is ripe for a happy harvest. When the leading lady Caroline Giovanni casts her roving eye in Jake's direction, he feels it's a sign from the fortuitous gods watching over him. But not every dream has a silver lining and a lot can happen on the way to the box office, like a wee bit of Irish step dancing, a plaque of shattered dreams and a good old-fashioned whiskey-soaked wake. Let Evan Yionoulis be your tour guide of the Emerald Isle as he deftly direct this fun folksy tale. For tickets ($20-96), call the Yale Rep, 1120 Chapel Street, New Haven at 203-432-1234 or online at www.yalerep.org. Performances are Tuesday - Saturday at 8 p.m., with matinees Wednesday and Saturday at 2 p.m. Decide for yourself whether Jake and Charlie are guilty of taking advantage of the film crew or if Hollywood is using Ireland for its own selfish purposes. Would you like a Valentine Day's present for your sweetie that is romantic and different, quirky and whimsical, that won't set off your allergy to roses or tempt you with chocolate cravings? TheaterWorks of Hartford has teamed up with playwright John Cariani to package the perfect holiday treat for the heart: "Almost Maine," a comedy about love, both warm and frost crusted, until Sunday, March 3. Get out your long johns, flannels and woolen mittens as you head to the chilly upper regions of the northeast, to Maine, to the mythical and magical town of Almost. There you will meet a bevy of folk who are falling in and out of love faster than a seal can coast down an ice slide. A quartet of talented actors Eric Bryant, Laura Esposito, Lucas Hall and Jess Watkins play all the unusual people seeking their soul mates. In a series of clever vignettes, we meet a couple who travel further apart, around the world actually, to grow closer together as well as a woman who seeks the Northern Lights as a way to bid farewell to one love and perhaps welcome another. At the local watering hole, the Moose Paddy, a misspelled tattoo ironically proves prophetic while a girl who lugs bags of love back to the giver receives a wonderful return on her investment. You can even learn how an ironing board can be an invitation to more than a well pressed shirt. Weigh in with Chad and Randy, two good buds, who try to decide who wins the title Baddest Date Ever and discover that they are both big winners in the love game. Who knew? Go to Echo Pond with Phil and Marci and wish upon a shooting star or tag along with Hope as she tries to rekindle her relationship with Daniel. Finally, hop aboard the snowmobile express with Rhonda and Dave as a piece of personal artwork signals sparks of love. Amy Saltz plays Cupid and delivers accurate arrows to her targets as she directs these funny and often bittersweet tales. For tickets ($50-63), call TheaterWorks, 233 Pearl Street, Hartford at 860-527-7838 or online at www.theaterworkshartford.org. Performances are Tuesday, Wednesday and Thursday at 7:30 p.m., Friday and Saturday at 8 p.m, with matinees Saturday and Sunday at 2:30 p.m. Come early and enjoy the poster art of the theater's past glories decorating the art gallery upstairs. The picturesque state of Maine is the perfect setting for these poignant and piquant portraits of love in all their amazing possibilities.